197 films, 70 directors, 5 decades, Vilma Santos, one of the original Philippine movie queens, rose up to become the versatile actress that has been given the fitting title of “Star for All Seasons” because of her capacity to adapt to the changing mores and values of the Filipino woman, giving a face to their plight and struggles, albeit in success both critically and box-office wise in some of Philippine cinema’s classics such as Relasyon (1982), Pahiram ng Isang Umaga (1989), Broken Marriage (1984) and Ikaw ay Akin (1978). This is the number one director who contributed to her success. Ishmael Bernal – A filmmaker of the first order and one of the very few who can be truly called a maestro. Critics have hailed him as “the genius of Philippine cinema.” He is recognized as a director of films that serve as social commentaries and bold reflections on the existing realities of the struggle of the Filipino. His art extends beyond the confines of aesthetics. By polishing its visuals, or innovating in the medium, he manages to send his message across: to fight the censors, free the artists, give justice to the oppressed, and enlighten as well as entertain the audience. Among his notable films are “Pahiram ng Isang Umaga” (1989), “Broken Marriage” (1983), “Himala” (1981), “City After Dark” (1980), and “Nunal sa Tubig” (1976). He was recognized as the Director of the Decade of the 1970s by the Catholic Mass Media Awards; four-time Best Director by the Urian Awards (1989, 1985, 1983, and 1977); and given the ASEAN Cultural Award in Communication Arts in 1993 (NCCA.gov.ph). Bernal was born in Manila on September 30, 1938, the son of Elena Bernal and Pacifico Ledesma. He studied at Burgos Elementary School and Mapa High School before entering the University of the Philippines, and graduated in 1962 with a degree of Bachelor of Arts degree in English. For a time he worked with Lamberto Avellana’s documentary outfit. He went on to earn his Licentiate in French Literature and Philosophy at the University of Aix-en-Prevence in France, and then in 1970 his Diplomate in Film Directing at the Film Insititue of India in Poona, under the Colombo plan scholarhip. Bernal was a board member of the Concerned Artists of the Philippines and the Directors Guild of the Philippines, Inc., an organization that studies the role of film as an instrument of entertainment, education and development. He actively crusaded for the rights and welfare of artists for as long as he lived. He died in Quezon City on June 2, 1996 (Wikipilipinas). 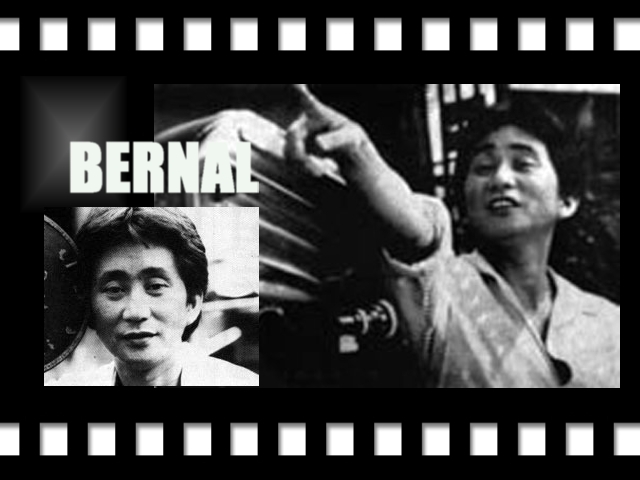 HIGHLIGHTS: Bernal gave Vilma Santos her first grandslam best actress awards and consecutive Gawad Urian best actress (1982 and 1983). Their first film together was Inspiration (1972) and last was Pahiram Ng Isang Umaga (1989). This entry was posted in ARTICLES, FILM REVIEW and tagged ARTICLES, Ishmael Bernal, Vilma Santos, Vilma Santos' Top Director - Bernal. Bookmark the permalink.